The StartUp Series will run at Horizon through March at both the Equipping and Exploring Services. 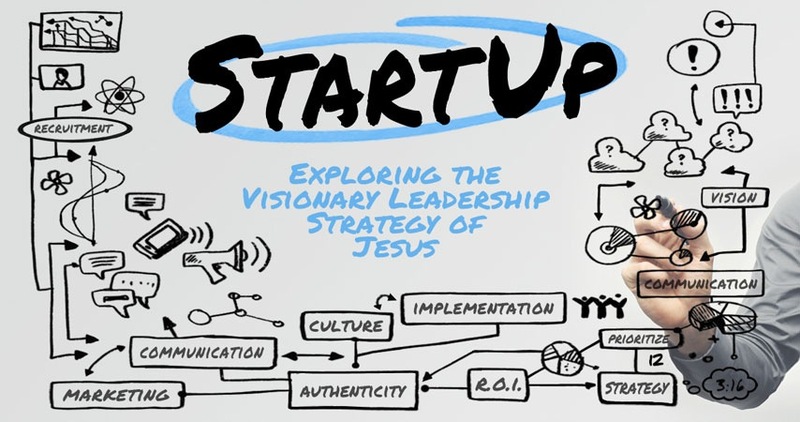 While the Equipping and Exploring Services have the same series title, StartUp: Exploring the Visionary Leadership Strategy of Jesus, they are two very distinct services. The StartUp Exploring Services (Sunday at 10 a.m. and 11:10 a.m.) will explore the visionary leadership strategy of Jesus and contain life application, classic and modern rock music, engaging video and an occasional interview. The StartUp Equipping Services (Saturday at 4:30 p.m. and Sunday at 8: 50 a.m.) will contain verse-by-verse Bible teaching and worship music. The Equipping Service will also cover a deeper dive into exploring the visionary leadership strategy of Jesus. What if you could get in on the ground floor of a movement that’s changing the world? Entrepreneurs dream of that sort of startup, but 80% of most new firms won’t survive their first year. The ones that do have one thing in common: a visionary leader. Jesus launched His own StartUp some 2,000 years ago; we call it the Church. And His vision was to transform the lives of all people. Join Horizon in January for a new series as we explore history’s most enduring StartUp and its recipe for lasting success. Download a copy of the StartUp Pathway Study Guide below.